I love this strategy from Martha Stewart, the guru of organization. 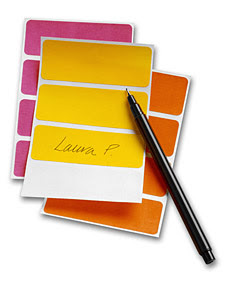 To make it easier to write thank you cards after a shower, you can have someone write each gift giver's name on a label and stick it to the gift. That way, you don't have to worry about later matching gifts to their descriptions on a centralized list.